Hey, all: if you’ve got a moment this afternoon, I’ll be talking with Ira Flatow on Science Friday about The Hunt for Vulcan in the context of last week’s announcement about Planet Nine. I’ll be on in the second hour, starting at around 3:20 ET, maybe a couple of ticks before, and rabbiting on with Ira until about 3:38. Some NPR stations fecklessly omit the second hour of Science Friday, so check local listings. You can always catch it live or later at the Science Friday site. While there may be better ways to spend 18 minutes of your life…there are surely worse ones too. Come on down if you’ve time and the inclination. 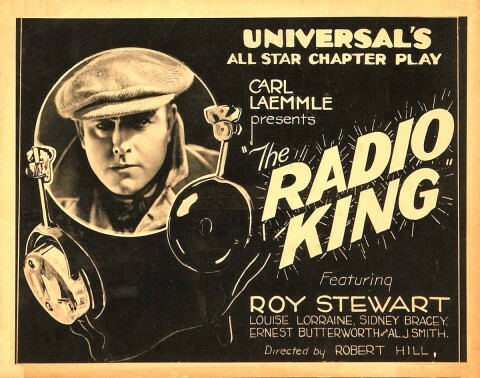 Image: Poster for the film, The Radio King, 1922. McKenna is a science and medicine writer who has focused the last several years of her career on the truly vexing and terrifying issue of antiobiotic resistance, focusing on the scourge of MRSA: methicillin-resistant Staphylococcus aureus, or drug-resistant staph. She blogs at Wired.com, under a title shared with the book — Superbug — that will be the leaping off point for our conversation. So check it out, if not synchronously, then via the podcast, available either at Blog Talk Radio (from about midnight tonight, I think, though it may be tomorrow), via the RSS feed, or as found within the greater Virtually Speaking iTunes podcast. 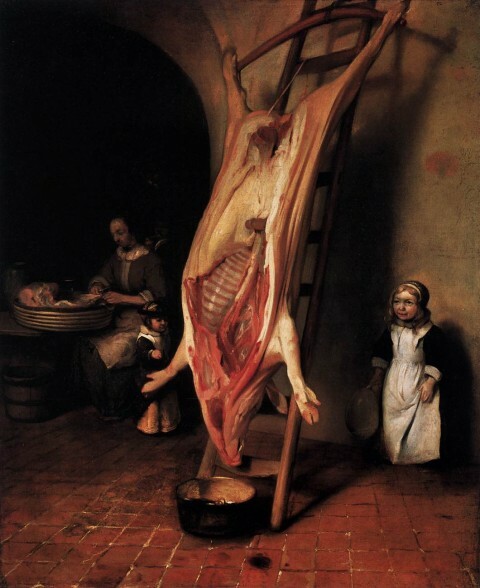 Just to give a tease of the conversation — we’ll start by talking about the great squander: how, some 75 years into the antibiotic era, we’re on the verge of destroying what had once seemed to be a truly transformative gift, a way to salve so much human suffering…and we will start to look at the reasons why. High among them will be the area Maryn’s focused on a lot since publishing Superbug, the use of antibiotics in agriculture in a non-therapeutic situations — that is, not as a response to an infection, but either as a prophylactic, or simply to fatten up livestock before slaughter. There’s been some news over the last week that makes this issue genuinely hot, but the most interesting aspect of it, to me, is the way agribusiness and their congressional allies (on both sides of the aisle, alas) have simply changed a few of the nouns and then copied the denialist playbook written for the tobacco wars, and updated for use in turning the threat of climate change into a world-wide conspiracy of fanatical socialist-facist greens. Which is to say, as readers of this blog know, the transformation of science from a source of public knowledge into a post-modern body of jargon to be manipulated by those with the biggest and most sophisticated megaphones, is literally killing us — as we will discuss in a bit. Oh — and one more thing. One of the key threads to emerge from Maryn’s work is just how badly we are served by the fragmentary system of health care delivery that we now have, that the GOP wishes to preserve, and that Obamacare goes some way to repair. 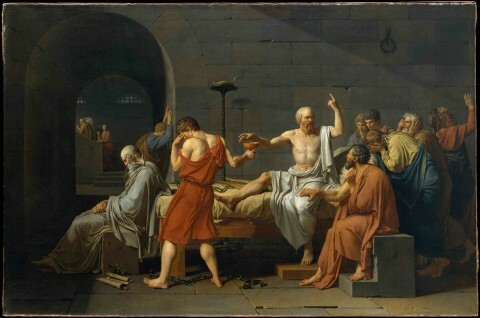 The lack of uniform systems of electronic charts, the failure to disseminate key medical knowledge outside of its silos — sometimes single hospitals, or even single services within hospitals — the inability to construct a truly national system of health care knowledge and the dissemination of best practices (Death Panels!) all have contributed directly to the deaths of kids, grown ups, grandma and grandpa from preventable or much earlier-treatable MRSA infections, as Maryn has documented — and much else besides. Remember: when our friends who decry the fascism inherent in public regulation of a public good seek to repeal without replacing, they are advocating a policy choice that will kill people. This is a known, predictable consequence of any swerve to the status quo ante. In other circumstances, taking actions that a reasonable person understands will lead directly to the deaths of others has a name, and the people who do so have names to. Now we call them GOP Presidential candidates. Just sayin. Just the cheery kind of conversation that will set you up for a truly heroic cocktail hour. May I recommend either one of these…or, maybe, doses by mouth of this concoction, repeated as necessary.